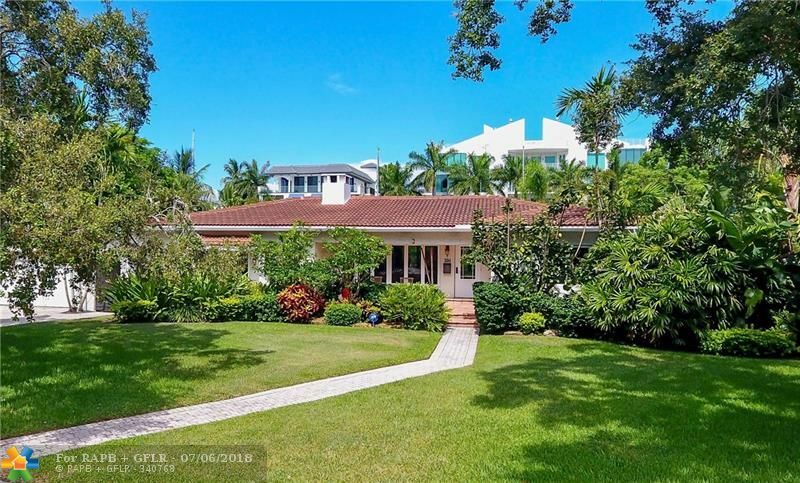 THIS HOME HAS EVERYTHING IN THE HEART OF THE FORT LAUDERDALE YACHTING COMMUNITY! 110′ OF WATERFRONT (dock a 100′ vessel) ON EXTRA WIDE, DEEP WATER CANAL. 4 BED/4 BATH, 2670 SF WITH GOURMET KITCHEN, IMPACT WINDOWS, 2011 ROOF, FIREPLACE, POOL, HUGE LOT, GARDEN SITTING AREA, 2 CAR GARAGE, 2 DOCKS, NEW DOCK DECK, GUEST HOUSE, OCEAN ACCESS, NO FIXED BRIDGES AND IMPECCABLE LANDSCAPING ON VERY QUIET, PRIVATE GORDON ISLE. WALK TO LAS OLAS, SHOPPING RESTAURANTS AND NIGHT LIFE. CLOSE TO BEACH, DOWNTOWN AND AIRPORT. Â© 2018 Greater Fort Lauderdale REALTORS. All rights reserved. Information deemed reliable but not guaranteed. The data relating to real estate for sale on this website comes in part from the IDX Program of the Fort Lauderdale Association of Realtors, Inc. Real estate listings held by brokerage firms other than RWE Real Estate Services are marked with the Broker Reciprocity logo and detailed information about them includes the name of the listing broker. Data last updated: Tuesday, December 11th, 2018 at 02:00:22 PM.